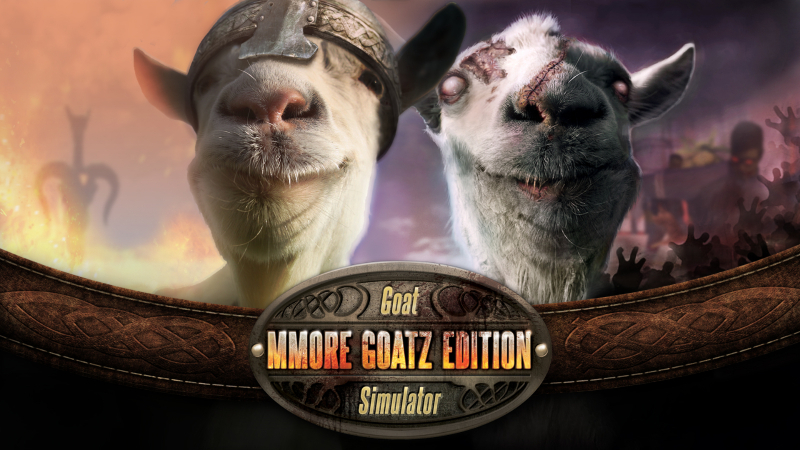 "Let you're inner microwave goat take over"
Double 11 and Coffee stain studios today very slyly announced the upcoming return of Goat Simulator in the new title Mmore Goatz Edition which sees the hugely popular MMO pc Mod make it's way over to both the Xbox One and 360 later on this year. You will have different classes of goat to choose from including either a Warrior, Rouge, Magician, Hunter or Microwave, players embark on highly cerebral quests including "hand me that apple” or engage in an epic quest to lick 10,000 trees. Whilst a release date is remaining pretty tight lipped at the moment, we have been assured the game will hit both consoles within the coming months via the ID@Xbox self publishing system. So you ready to get you're goat on?